Our regular guide to the latest books about the capital. Chunky books about architecture aren't exactly in short supply, but here's one that punches above its own considerable weight. It does so by taking account of how buildings affect the people living in and around them, and vice-versa. 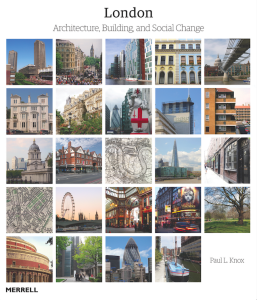 The book is organised by area, with inner London sliced into 30 or so chapters (Clerkenwell, Bankside, etc.). Each covers around a dozen important buildings and other architectural spaces. Rather than simply characterise the fabric of a building, author Paul Knox delves a bit deeper to recall its history, and even its prehistory. For example, the brutalist former Home Office on Petty France stands on the site of the equally derided Queen Anne's Mansions, a continuation of overbearing, Orwellian architecture. With a supremely generous picture budget (525 colour photos!) and a deftly written text, this is both a first-rate guide to the city's bricks and stones, but also a visual social history of a perplexing city. And now for something completely different. Alice Stevenson is a professional illustrator, but she's also a keen walker, and an urban walker at that. 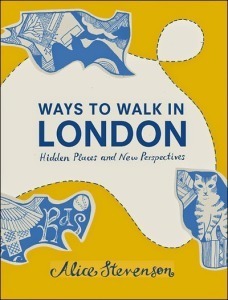 Her book offers vignettes from 32 urban strolls, nearly all of them north of the river. Her compass might need oiling, but her experiences flow from the pages with ease and grace. From a melancholy sojourn round the slopes of Hampstead to the antique futurism of the Barbican and its attendant Pedway system, we find that a good walk can conjure all moods and mindsets. For Alice, as for anyone, London can be a wonderland or a torment, but there is always more to explore. The book is decorated throughout with the author's own semi-abstract illustrations, making this an attractive gift book or inspiring manual of perambulation for anyone who spends too many hours indoors. From September Publishing. Author website. Author's twitter @AliceStevo. A tricky one to review, seeing as it pretty much does what it says on the front. This photo-heavy guide to western Europe's tallest habitable building takes you through all its evolutions, from design, to construction, to a set of panoramas from the observation decks. Along the way, there's an interview with architect Irvine Sellar, a floor-by-floor guide to what's in the Shard, a history of the area and information on key buildings you can peer down on from the top. Curiously, there's no specific mention of Aqua Shard, Oblix and Hutong, the three restaurants that most make the Shard worth visiting, although the Shangri-La hotel is briefly name-checked. The book is attractive, well illustrated and, best of all, balances on its end like a miniature Shard. It is an official guide, though, so don't expect any other kind of balance, but an account that glows like the Shard's illuminated peak. 'Why don't we cover comic books in these roundups? ', you might well ask. Simple. A crippling and embarrassing ignorance of the genre would make us poor judges. Yet we can't help endorsing this abominably charming six-part series from T-Pub. 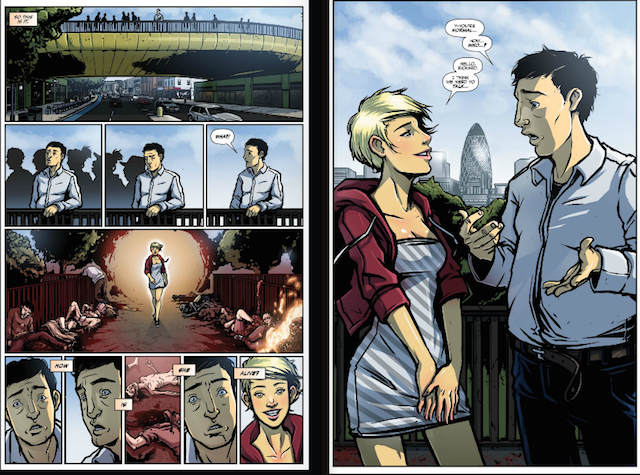 Tortured Life tells the story of a Londoner called Richard who has a single, terrifying superpower: he sees how people will die. From a roadkill cat to a suicidal stripper, Richard's London is so full of everyday horrors that he attempts to stab his own eyes out. The six-parter manoeuvres through a grisly sequence of revelations and U-turns, hooking the reader in to a twisted superhero tale with plenty of blood and rearranged brain matter. All this plays out against a very visible London backdrop, with memorable scenes on the tube, Mile End's Green Bridge, Heathrow and elsewhere. You can read the first instalment online right now. From T Pub. Edited, drawn and written by this here team of fellows. On Twitter as @TPublications. Next month: swimming the Thames and London at night. See more London book reviews and find an independent bookshop to buy them in.